If you have been in the infertility world for even a short amount of time you probably have heard of the medication referred to commonly as Clomid. Clomid. AKA the devil medication. It made me have hot flashes and night sweats well past being removed from it. Talk about mood swings? Whoa! Hubby told me if I ever take it again…he’s sleeping in the other room. Clomid thinned my lining terribly and me feel like I was burning hell 24/7 it was the most miserable tiny pill I’ve ever experienced. As expensive as they are, I will take injectables any day over Clomid. I did 8 IUI’s and Clomid had no positive results. Clomid was good to me! Take it at night and the side effects are minimal, hot flashes- that’s it! If you take it during the day like I did during my first round I was ugly and mean. Several follicles – good size. No thinning on my lining. I didn’t have any side effects with Clomid. Unfortunately, Clomid didn’t work as expected. I barely managed to produce a single good-sized follicle 3 times I was on Clomid. 100 mg: Hot Flashes, mood swings, weird visual field stuff, night sweats and increased anxiety. 50 mg: Emotional, increased anxiety, and mood swings. 3 three rounds, only one I was emotional. I was on the lowest dose, didn’t mind it one bit. No success though. 6 rounds, cysts, horrible mood swings, irregular bleeding while on it and the list goes one. TTC for 10 years. The side effects were very mild. For me it resulted in a pregnancy on my 2nd round of 50 mg.
My doctor would only do three rounds of Clomid due to serious issues it could cause to my health if I kept taking it.The only issue I had was by round three. It caused lots of heavy bleeding during my menstrual cycle. Other than that I don’t recall anything serious. It didn’t result in a pregnancy for me, but the side effects were manageable. I’ve seen this medication work for several other women. 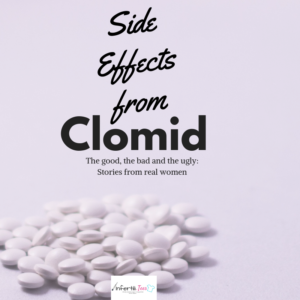 I went through three cycles with Clomid. It had all kinds of negative effects on both my psychical and emotional health. Stims were much more manageable and didn’t leave me feeling like a crazy person. I have PCOS and i did four rounds with Clomid and I had headaches and cramps. Clomid….where do I start? Do I dare say I actually preferred stims over these horrible pills? Headaches and hot flashes galore! But did the job of helping me ovulate on my good side every round! Clomid gave us our rainbow baby! I swear by it and hope it works again when we are ready to conceive in the future! Did 2 rounds of Clomid. Never again! Headaches, nausea, mood swings- yowza! Didn’t conceive on either round. Just finished round 2 (50 mg) post endosurgery. Definitely more side effects than Femara. It amplifies my crazy anxiety. I was on it only one month and hated it. Insane mood swings. It did induce ovulation in my and I started spotting at only 6DPO so it thinned my uterine lining way quickly for any type of implantation to occur. I had 6 rounds of Clomid- each time I had a positive test, however nothing came from it just mood swings and hot flashes! 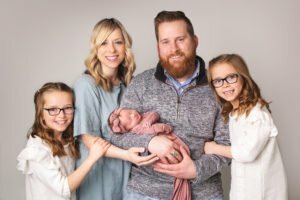 Isn’t is amazing what we have to endure to even try to have a baby? If everyone could understand what some couples go through to get pregnant than I think fighting infertility would be made a little easier with more compassion and understanding from others. We hope that reading the experiences from others helps you as you navigate your own journey. Remember everyone responds differently to medications but it is always smart to do your research and be made aware of the side effects that come along with it.